At the bottom-right is a still green tram (white fleet numbers), but the tram at the left must be yellow already. The two trams at the north side of Praça are both build by the local company A Constructora. The first dates from the period 1901-1903, the second from the period 1904-1906. 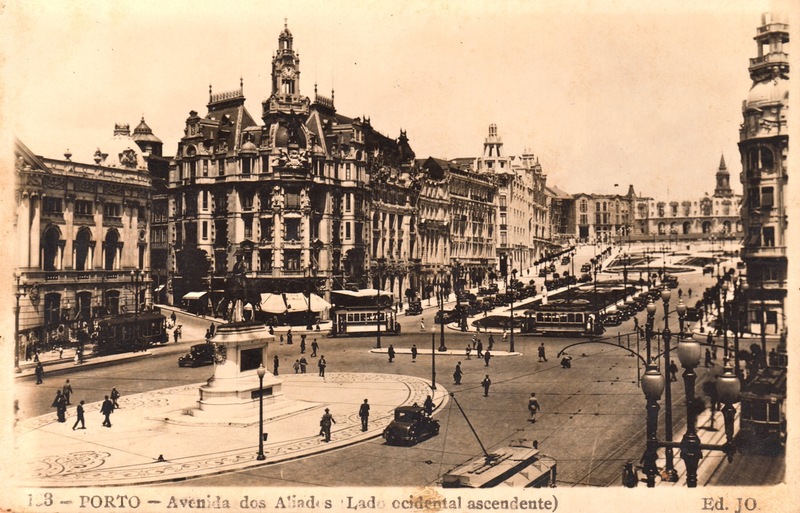 Dit bericht werd geplaatst in History en getagd Avenida dos Aliados,eléctrico,Porto,Porto tram,Portugal,Praça,Praça da Liberdade,tram door Ernst Kers . Bookmark de permalink .